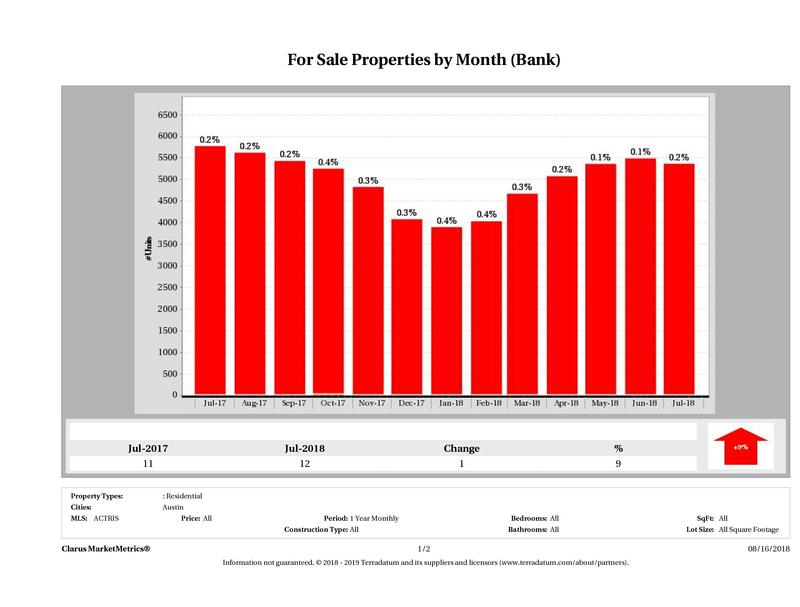 Eleven Oaks Realty is proud to present their July 2018 Austin Foreclosure Market Report measuring activity in the single family home foreclosure market. In July 2018 there was a 100% decrease in the number of bank owned homes that sold in year over year figures. 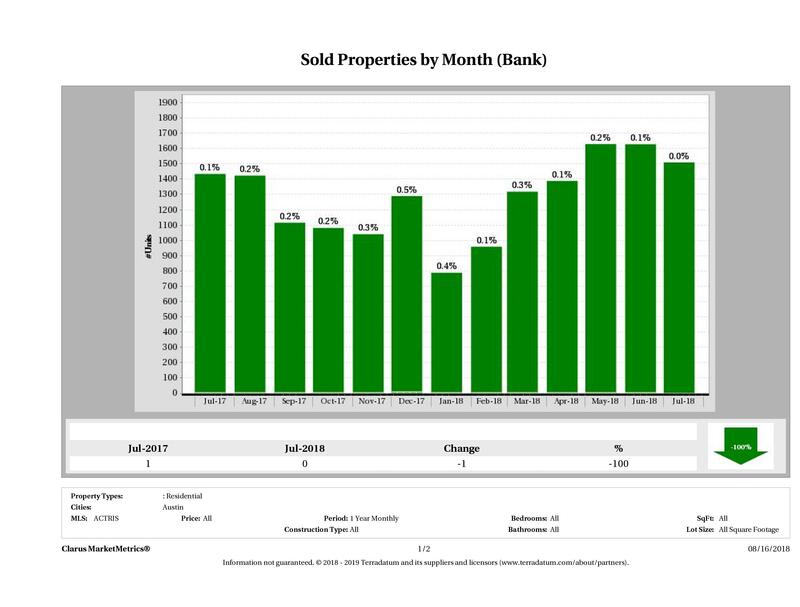 In July 2017, there were 1 bank owned homes that sold (closed escrow) compared to 0 in July 2018. Bank owned homes (foreclosures) accounted for 0.0% of the total home sales in Austin in July 2018 and 0.1% in July 2017. The overall market was up 5% in the number of homes sold compared to last year’s numbers. In July 2018 there were 2 bank owned homes that accepted a contract (pending) compared to 0 bank owned homes in July 2017. 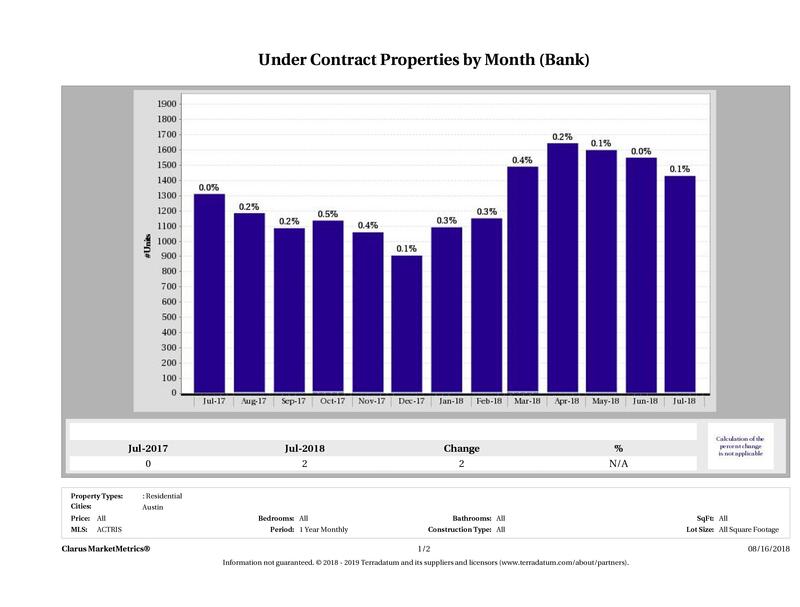 Bank owned homes accounted for 0.1% of the homes that went under contract in July 2018 compared to 0.0% of homes that went under contract in July 2017, showing just how small a percentage the distressed market takes in Austin. The full market was up 9% in the number of homes that went pending compared to last year at this time. 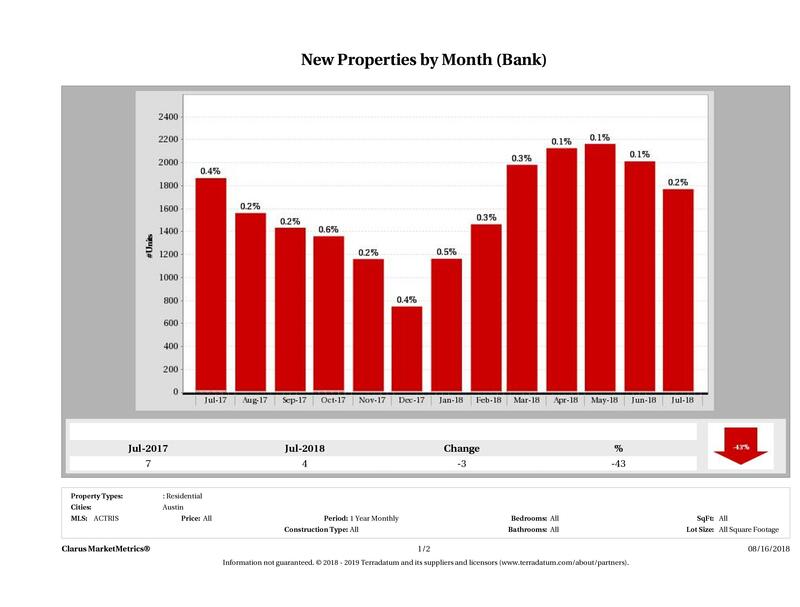 In July 2018, there were 4 foreclosures (homes owned by the bank) listed for sale vs. 7 in July 2017 resulting in a 43% decrease in year-over-year numbers. Bank owned homes listed for sale made up of 0.2% of the full market in July 2018 and 0.4% in July 2017. The full market had a 5% decrease this month. The number of bank owned homes in Austin currently on the market saw a 9% increase in year over year numbers. The number of bank owned homes for sale made up just 0.2% of the market in July 2018 and 0.2% in July 2017. The full market saw a 9% increase in the number of homes for sale this time last year. In July 2018 and 2017 banks took one home off the market. 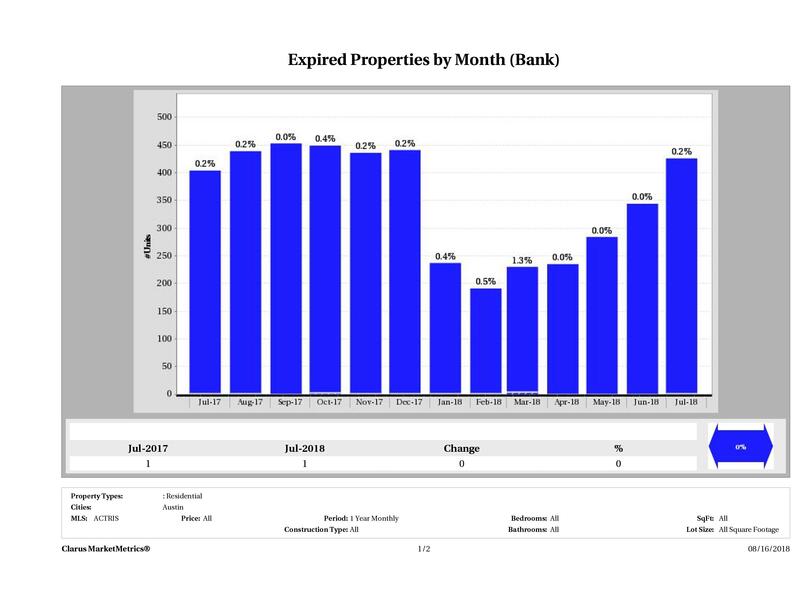 Bank owned homes made up 0.2% of expired properties in July 2018 and 0.2% in July 2017. The full market saw an increase of 5%.